Advocates often speak of the need to inform and influence the culture. Well, here’s a movie that leads in that endeavor, and does so by first and foremost being a well-written and entertaining film. 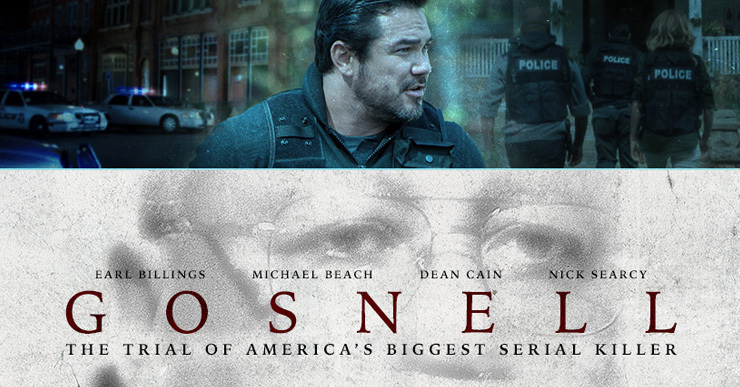 Gosnell immediately grips you and pulls you into the mysterious world of America’s biggest serial killer. It unfolds at an engaging pace that leaves you satisfied and challenged. Of course, there are many mindsets and emotions around the issue of abortion, and the Gosnell movie manages to extract many of them from the true story of Dr. Kermit Gosnell and the investigation and trial that unveiled the humanity of everyone involved: his accusers, defenders, peers, employees, patients, and their families. For these reasons, I highly recommend Gosnell to anyone (PG-13) especially if you enjoy a good crime drama. Challenge yourself. Go watch Gosnell in theaters Friday, October 12. And don’t forget to stay for the closing credits for the full experience. If you found this brief Gosnell movie review helpful please share it on Facebook and Twitter and let others know. Learn more about the Gosnell movie and watch the Gosnell trailer below.